An obsolete constellation created by English astronomer Edmund Halley in 1679. This constellation was meant to honor King Charles II who is said to have hidden in an oak tree for 24 hours after he was defeated by Cromwell in the battle of Worcester. 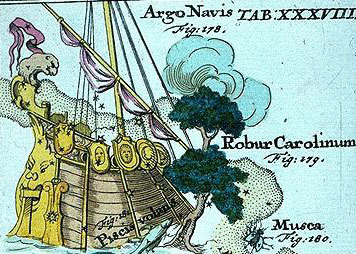 The constellation was created out of stars that were part of Argo Navis, the great ship. Since the constellation involved so many bright stars from Argo Navis few astronomers accepted it and it fell out of use and is no longer recognized as a separate constellation.